The first certain references to Hull Grammar School date from 1431, at which time the school was sponsored by the borough authorities and sited in a building on the south side of Holy Trinity Churchyard, still visible today as the structure built in the year 1583 after the Mayor, William Gee, made a donation of £130 (a fortune in those days) towards the costs. 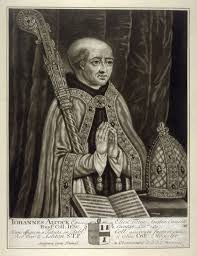 Bishop John Alcock, a former pupil, gave the school its first endowment in the year 1479. He was a distinguished Churchman, Bishop of Worcester, Rochester, and Ely and Lord Chancellor of England under three kings. As Bishop of Ely, he also founded Jesus College, Cambridge. 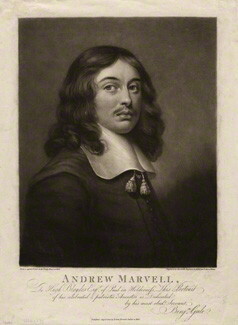 Distinguished pupils of the school include Andrew Marvell. He attended the School in the first part of the seventeenth century, his father being Priest at Winestead and Lecturer at the Holy Trinity Church. He represented the City for many years in Parliament and is now rightly regarded as one of our finest poets. He protected John Milton from retribution during the Civil War. Another celebrated pupil was William Wilberforce who attended the School in his early years and became a firm friend of Isaac Milner who was then the Usher and brother of the famous Headmaster, Joseph Milner the evangelist. Isaac later became Vice-Chancellor of Cambridge University. 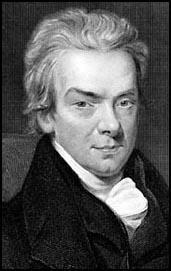 While touring Europe as a young man with Milner, Wilberforce became converted to Wesleyan beliefs, which were to form the basis for his later work to abolish slavery in the British Empire. Oh, how they sought its worth to know ! Reason saw to love this science then. Freemasonry in Kingston Upon Hull in its present form can be traced back to the mid-18th century. The first known lodge in the city was the Black Bull Lodge No.252, warranted by the “Moderns” on August 20, 1759 at the Black Bull inn, Mytongate. _An “Atholl” lodge, the Kingston-upon-Hull Lodge No.78 was also warranted soon afterwards on September 3rd 1759. In 1761, the Blue Bell inn was host to the Blue Bell Lodge which gained its warrant from the “Moderns” on October 27th of that year. None of these lodges survived the Union. Other, largely unknown, early Hull lodges include the RodneyLodge No.436 (1781, “Moderns”) and the Phoenix Lodge No.363 (1817) which met at 14 High Street. Again, both the Rodney and Phoenix lodges are long defunct. Old Hull lodges which survive to this day are the Humber Lodge No.57, opened at the Fleece Inn on March 16th, 1809 using a 1756 warrant re-issed from the Ancient Knight Templars in Liverpool. The Brethren adopted the name Ancient Knight Templars’ Lodge until the change to Humber Lodge in 1810. The longest surviving Hull lodge with a continuous record is the Minerva Lodge No.250, warranted by the “Moderns” in 1783. The Hull Old Grammarians’ Lodge No.5129 is proud to be one of those lodges to meet at the premises of the Minerva Lodge in Dagger Lane.